What a perfect day for a Hot Buttered Rum. Cold on the outside. Warm and spicy on the inside. 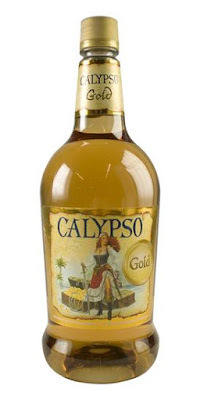 Calypso Gold Rum is a stout combination of vanilla and other spices. The nose is is as sweet as it is strong. It has a delightful finish. Add Calypso® Gold Rum and all other ingredients to a Boston shaker with ice and shake well. Double strain into a coupe glass. 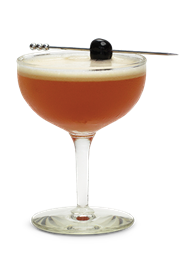 Garnish with brandied cherry or lime wheel. Bring water, butter, brown sugar, cinnamon, nutmeg and cloves to a boil in a 1 1/2- to 2-quart pan over moderately high heat. Reduce heat and simmer, whisking occasionally for 10 minutes. Remove from heat and stir in rum. Pour into four mugs, zest nutmeg, garnish with a cinnamon stick and serve hot. Vital Links: Buy Calypso Gold Rum for $13.99 (1.75l) here. Rougaroux (Roo ga roo) 13 Pennies is an award-winning rum with a penchant for sweet. The rum is crafted by hand in small batches in the middle of a field of sugarcane in Thibodaux, Louisiana. The Rougaroux is a Southern Louisiana Cajun Country swamp monster. It manifests on a full moon to get the evil! Pour praline rum into a mug, and then fill with hot buttered rum mix. Garnish with doughnuts and serve. Fill a large pot with hot water and heat over induction burner at 175 degrees. Add all of the spices and brown sugar. Cut butter into small squares and use immersion blender to blend until smooth. Add Xantham gum and immerse with blender and then stir with whisk. Lower temperature to 135 degrees and simmer for five minutes. Store in an insulated airpot, such as one used for dispensing coffee or other hot beverages. About the drink: Rougaroux 13 Pennies Praline Rum, crafted by Thibodaux-based Donner-Peltier Distillers, is made with toasted pecans and local sugar-cane syrup, giving the recipe distinct South Louisiana flavors. "The fall baking spices/flavors warm you up and it is served hot, so it is perfect for the cold weather months," said Sazerac bartender Matthew Steinvorth in an emailed comment. "This recipe leads to a creamy, rich, lavish drink, instead of a buttered rum that is more brothy." This is definitely a big-batch recipe, so if you just want one, find it at the Fountain Lounge and the Sazerac Bar at The Roosevelt. Rougaroux is available all over Louisiana and a handful of other states. Feel uninhibited to look here. We found it online. But, it wasn't in stock.